The topic of my thesis is the recent rise of Steampunk, a term for a subgenre of science fiction which supposes an alternate history of the world wherein 19th century technology achieves 21st century capabilities. It is a world that might have been had Jules Verne been an inventor rather than a writer of fiction. In these alternate histories, airships, submarines, and even computers are constructed long before they were in reality. The genre ostensibly belongs to a category of writing Fredric Jameson calls “postmodern fantastic historiography” conjuring up a world of mixed ontologies, which conveys “the feel of the real past better than any of the facts themselves” (368-69). Context. A reading list of Steampunk works contains a diverse assortment of writers: from Steampunk pioneers Tim Powers and James Blaylock to celebrated postmodern fiction writer Thomas Pynchon; children’s writers such as Philip Reeve and Kenneth Oppel. It spans genres, moving from its ostensible home of science fiction into horror in Kim Newman’s Anno Dracula, to fantasy in Philip Pullman’s Golden Compass, to political commentary in Theodore Judson’s Fitzpatrick’s War, to graphic novels which suppose alternate, “gaslight” settings for popular characters such as Superman and Batman. 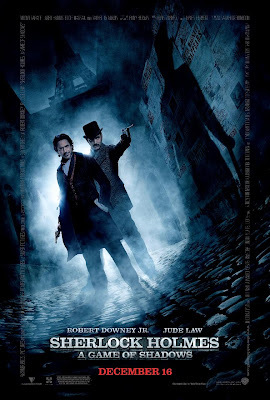 In the visual medium of film, the wide range of genres in which Steampunk elements appear is equally varied: consider the period drama The Prestige contrasted with action film Van Helsing. Given this wide array of works employing Steampunk elements, it is my contention that the designation “Steampunk” is less a narrative classification based solely on technology than it is a visual aesthetic containing particular key elements. Steampunk has moved beyond narrative constraints and is now a form of fashion, an approach to visual art and home decor, and even serves a taxonomic function for pop-music artists such as Abney Park and Vernian Process. It is the appropriation of Steampunk as a music “form” which most clearly demonstrates that while Steampunk has literary origins, its current realization is as a multi-media aesthetic. Abney Park and the Vernian Process have very little in common musically; but the musicians in both groups dress in a neo-Victorian manner, sharing a visual aesthetic, not musical articulation. This aesthetic as manifested within a cultural phenomenon which reads Steampunk works, views Steampunk film, dresses up in Steampunk fashion, or adorns its homes with Steampunk décor is not seeking a futuristic eutopia, but what Timothy Unwin calls a retrotopia, “a nostalgic turning back to an age of innocence … and a revival of that past in the present and the future” (339). Contribution to the advancement of knowledge. To date, the only in-depth scholarship on Steampunk has been an article in Extrapolation by Steffen Hantke, and by association, Dana Shiller’s dissertation and journal article on Neo-Victorian fiction. Both writers are concerned primarily with how Steampunk and Neo-Victorian writing affects the historical discourse as it regards the era the works are set in, whereas the objective of my inquiry will be to examine the role of this retrotopic longing in Steampunk’s aesthetic, the mythologized representation of the Victorian-era society, to examine the evolution of the debate on Enlightenment as manifested in the postmodern fictions of Steampunk, specifically in relation to the ideas of progress, science and humanism. Corpus and Methodology. I intend to pursue this project through textual analysis, firstly in the works of Jules Verne and H.G. Wells, writers cited as progenitors of Steampunk, to ascertain what aspects of Steampunk culture have emerged from these 19th century writings, and perhaps more importantly, what was left behind. I will also research a number of key Steampunk texts related to the Victorian era: the seminal Steampunk works of Tim Powers, James Blaylock and K.W. Jeter, as well as newer additions to the genre such as the young adult fiction of Phillip Reeve. Moving beyond traditional forms of text, I will examine roleplaying games such as Castle Falkenstein, which is as much novella as rulebook with its storyline of a computer technician’s journey through time and space into a parallel Victorian world. 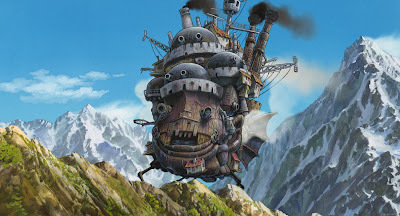 I will also explore filmic Steampunk expressions, from the box-office flops such as League of Extraordinary Gentlemen and Wild, Wild West to the brilliant French film City of Lost Children and Japanese Anime Steamboy. There will be an element of cultural study in the examination of how Steampunk is appropriated as aesthetic beyond narrative, by engaging online communities, such as the Brass Goggles web forum to contact and interview people immersed in the subculture of Neo-Victorian Steampunk. In the fall of 2008, I will be attending and presenting at Steam Powered: The California Steampunk Convention, where I will be afforded to opportunity to view Steampunk enthusiasts in a focused social gathering, to interview artists and publishers promoting Steampunk works, and attend an Abney Park performance. I have already secured face-to-face interviews with several key presenters and artists at this convention. Finally, my project will examine how Steampunk playfully engages new historicism and possible world theory through its assumption of the virtual nature of history and that ultimately all human experience is a form of fiction. The rejection of a Steampunk metanarrative and the array of aesthetic applications points toward malleability of human experience, which is realized in the aesthetic expressions of Steampunk enthusiasts who engage in the manipulation of reality wherein the possible world Steampunk narratives posit become the actual world these Neo-Victorians inhabit. I am curious, what do you mean by "Steampunk Metanarrative"? Do you mean a Metanarrative that defined/influenced Steampunk itself, or did you mean Steampunk as a Metanarrative for peoples lives (just as the Bible both serves/served as a metanarrative for peoples lives, or the idea of "Progress" served as a metanarrative for peoples lives within Modernity). If you did indeed mean the latter, have you as of yet determined what such a Metanarrative looked like, and how it influenced the way people lived, thought, and percieved the world and their interactions therein? Both, since I'm looking at Steampunk's literary roots and current literary products, as well as the way in which people form performative Steampunk identities. For example, unlike comic book or even a lot of anime cosplay, there are no iconic Steampunk representations fans must abide by in making their Steampunk costumes, which often are formed along with a roleplay-style character. I met a lot of people at the Steampunk con in California last fall who not only had complex costumes, but complex back stories to go with them. But because it has its roots in alternate history, which by its very nature rejects metanarrative, you can't say someone isn't the Steampunk character they're dressed up as. You could have four different Captain Nemos and not a one would resemble James Mason as Nemo in the Disney film of 20,000 Leagues.